A driver's failure to properly yield to another vehicle or pedestrian can result in a major accident causing serious bodily injury or even death. 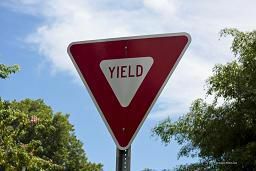 A failure to yield accident is one in which a driver fails to give (yield) the road to the party (other vehicle, bicyclist, or pedestrian) which has the legal right of way. 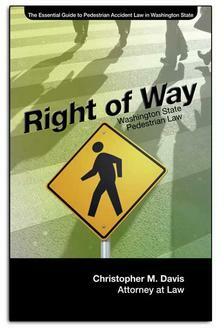 These accidents are far too common and are one of the most deadly types of pedestrian accidents. On average, it's estimated that there are more than 20,000 motor vehicle accidents in Washington state each year that were directly caused by a driver failing to yield right-of way. Failing to yield to an emergency vehicle. In failure to yield collisions the insurance company often tries to persuade the accident victim to give up their legal rights or accept an unfairly low offer. Sometimes the insurance company will even try to scare the victims into thinking that they are actually at fault for the accident because they struck the at-fault driver’s car — even though they legally had the right-of-way. If you have been injured in an accident caused by a negligent driver who failed to yield to you, it may be in your best interests to consult with the award-winning personal injury lawyers at Davis Law Group in Seattle. We have helped accident victims get the compensation they deserve for more than 25 years. Call our office at (206) 727-4000 or use the confidential contact form on this page to request a free legal consultation with our qualified legal team. There are no up-front costs and you only owe attorney's fees after your case has been successfully resolved.